CLEVELAND—Claiming they want to impose their will against the competition, Cleveland Browns head coach Rob Chudzinski announced Friday that the team is gearing up to aggressively punt the ball down opponents’ throats this season. 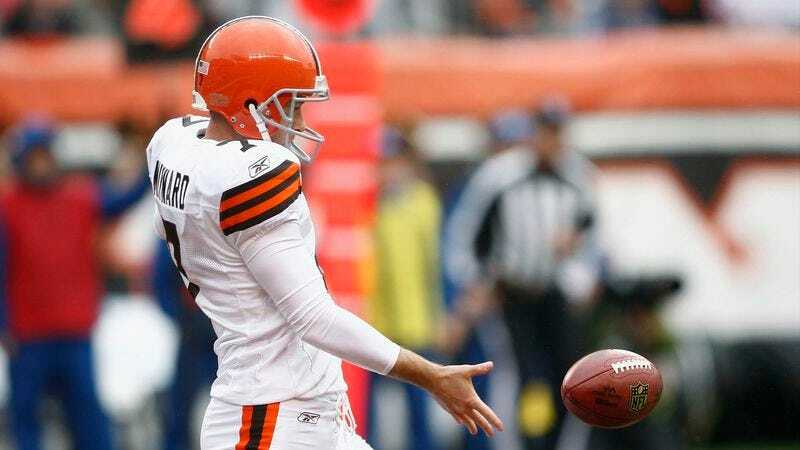 “We just signed T.J. Conley, who is an electrifying power punter, so you’re going to see this team transitioning to more of a boot-it-up-the-gut style of football,” said Chudzinski, adding that the Browns planned to line up in the punting formation 25-30 times a game. “I hope we’ve found a dominant, explosive punter who can relentlessly pound the ball with his foot. I won’t be satisfied unless we’re punting wild over defenses.” Chudzinski told reporters that the Browns were not opposed to having two or three punters on the roster and punting by committee.